Between body and soul. An essay by Piotr Czerkawski Béla Tarr about Hu Bo, director of "An Elephant Sitting Still"
In Iran, extra-marital relations between men and women are considered illegal. For various reasons some people don't want to or can't get permanently married. 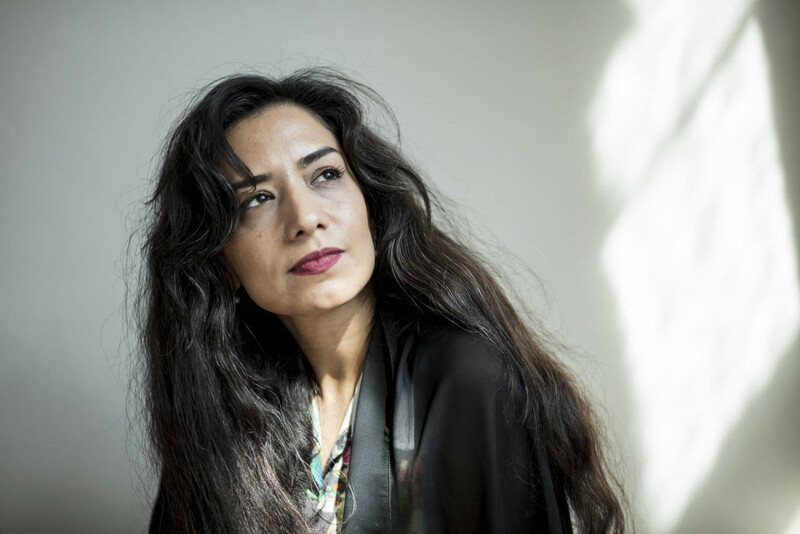 The institution of temporary marriage (sighe) allows them to respect the law, which they believe in as it is in line with their faith, and at the same time they are able to fulfill their needs - says Azadi Moghadam, the director of 'The Broker' in the interview conducted by Michał Hernes. I must admit that I was surprised with the problem you addressed in 'The Broker'. Where did the idea for the film stem from? I was interested in the topic of male-female relations and how they are socially perceived. I found out that there is this kind of matrimonial agency and I was curious, what kind of people come there, what needs they have and why they decide to get married through such an institution. What kind of people use its services? Apparently, people from very diverse backgrounds and social groups, but majority of them are more religious and conservative clients. Why do they come there? It is mostly caused by the common lack of trust. Women, for instance, don't know, if men who court them outside the agency are interested in a serious relationship or they just want to take advantage of them. Many clients told me that they weren't sure, if they could trust those who they met in different circumstances. The picture of Iran seems quite pessimistic then. Unfortunately, in our society it often seems to be this way. It mostly affects relations between men and women, but also determines decisions to start a family and to enter relationships. There is no mutual trust. But I wouldn't say that the services offered by this matrimonial agency attract lots of people. Many Iranians would never consider them an option. So maybe it is not that bad. Well, this is a very complex topic. How to address such a complex topic within one movie? In my film, I presented just a tiny bit of Iranian reality. Not everything in my country looks this way. Did you make this movie, thinking mostly about Iranian audience or the viewers abroad? When I started making it, I took almost entirely Iranian audience into consideration and to be honest, I never expected that I would get a chance to show it outside the country. The complexity of the topic seemed to be the main obstacle then. What was your aim when you worked on 'The Broker'? As I said, Iranian society is facing a real problem related to the lack of trust among people. The decision on whether to get married and to whom is becoming more and more difficult. I found it interesting to ask, why some people need brokers (matchmakers) to find a husband of a wife. But I will say that again: this kind of matrimonial office is not a common phenomenon. There are agencies which arrange temporary marriages, but those clients who ask brokers for help, do not know another similar agency in Tehran, an agency that would arrange permanent marriages. What is the difference between those two types of marriage? The only difference between them is that in case of temporary marriage the period for which it would be valid is determined and agreed upon in advance and therefore it can last two hours or two years. Sometimes such a marriage lasts the whole life. Why would people get married for two hours? It's a cover. In Iran, extra-marital relations between men and women are considered illegal. For various reasons some people don't want to or can't get permanently married. The institution of temporary marriage (sighe) allows them to respect the law, which they believe in as it is in line with their faith, and at the same time they are able to fulfill their needs. But they can also decide for a temporary marriage which lasts their whole life. How did you manage to gain the brokers' and their clients' trust? I spent a lot of time with the women who work in the office. Sometimes I paid them a visit and we just talked. Sometimes I had my camera on and sometimes I didn't. It also happened that they didn't know if I am recording, after a while they basically stopped paying attention to it. When there are only women in the room, they often take off their chadors and scarves. Whenever I started shooting, I always told them to cover. For them it was an important element of our relation and a crucial one to build trust. It was more difficult to convince clients of the matrimonial agency and gain their trust - they weren't used to discussing very private topics in front of the camera. Neither were they used to talking openly about issues that in our society are considered taboos. It wasn't easy for them. I often had to explain that I wouldn't show their face, but instead, I would shoot their hand for instance. I did my best to make this movie the way which respects their privacy and if they didn't wish to reveal their identity, I tried to make them as anonymous as possible. Are films like the one you made able to provoke a discussion? Who knows? Maybe my film will start a discussion about trust in our society? But first of all, I cared to show and tried to understand what happens in this agency, what needs people who use its services have, why they want to start relationships this way, what processes they go through, and finally, what standards they aspire to. Did you manage to comprehend it? I am not the type of person who would use services of such an agency in the first place, but I am able to sympathize with and better understand those, who go there and want to get married this way. Maybe after watching 'The Broker' some individuals will ask themselves a question, what happens in Iran outside this kind of matrimonial agency, and maybe they will start thinking what caused such a lack of trust. Was there anything you decided not to include in 'The Broker'? Yes, I decided to resign of the interviews I conducted with the agency employees and their clients. I didn't want to add anything which would involve my perspective or judgement. I really cared to show reality the way it was. Is good art always created in opposition to something else? I would say that good art rather asks questions and leaves the audience with them. And I try to do it as well - to ask and to question some ideas, convictions and phenomenon. Do you look for some positive aspects of Iran, too? I don't consider this film as a negative one. The strive of both those who use the services of the agency and the women who decided to open it is very positive; they are doing their best to match men and women well - for them to be able to create a good and valuable relationship. The question is: are they successful? It is very hard to say, really. Because it is not only a very individual and private matter, but it is also related to feelings and emotions. Maybe among the agency's clients there are men and women who derive satisfaction from this kind of relationships, but it is also possible that there are some who don't. The brokers do a lot of good, because they are trying to convince their clients that permanent marriage is better than temporary one and persuade them to think of relationship in more responsible terms.